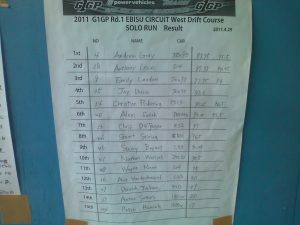 It was great to see 15 foreigners turn up for G1GP yesterday held at Ebisu west course, and judged by Kumakubo and Suenaga from Team Orange. 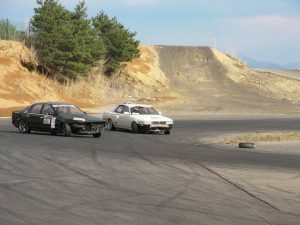 Battle of the RB20s.. Stewy Bryant follows me (Disco Stu) down the hill at Ebisu West drift course. 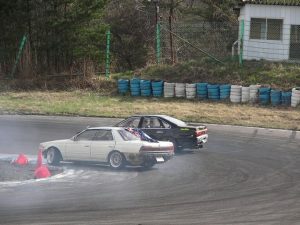 15 drivers might not seem like a lot, but after North Japan and Ebisu circuit suffered huge damage both physically and rumor-wise from the Earthquake, Tsunami and Nuclear disaster, everyone was wondering if G1 and drift matsuri would go ahead and if any foreigners would show up for them at all! 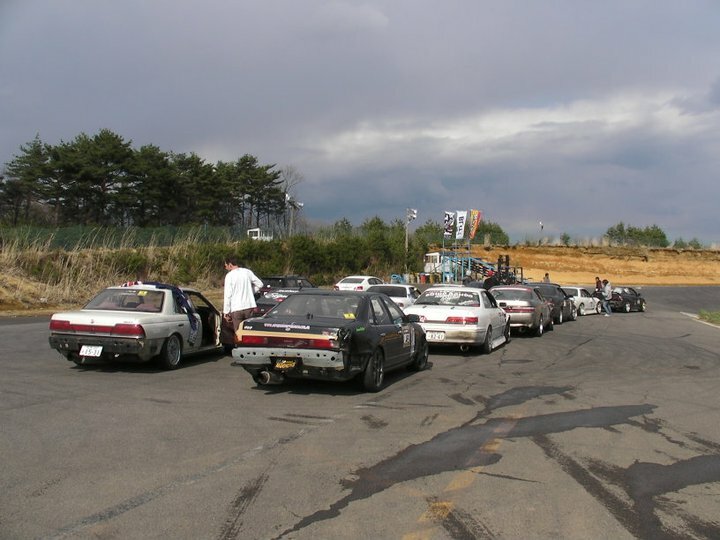 G1GP car line up… See the Cefiro.. or what’s left of it? 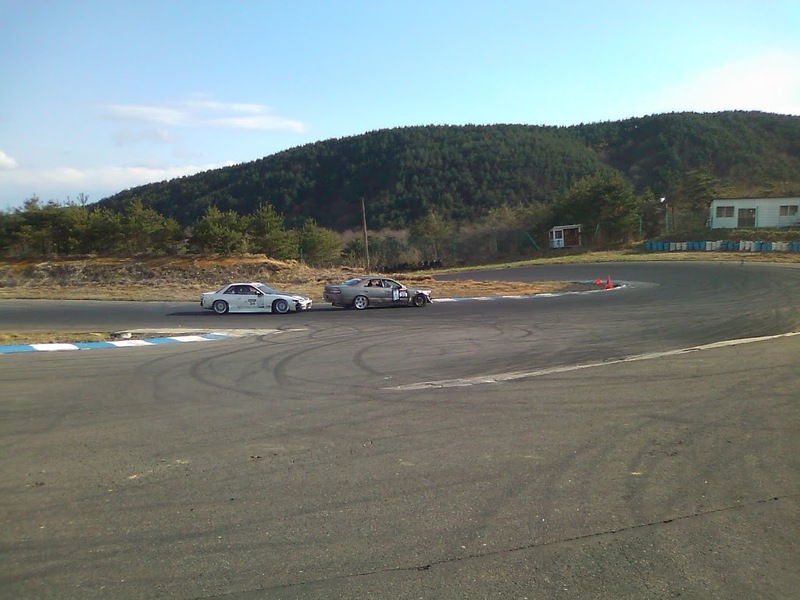 Suffice to say, G1 went ahead as scheduled and 15 brave and dedicated drivers showed up – so thank you to all those drivers who made the effort to come! Stewy Bryant closely following Disco Stu. 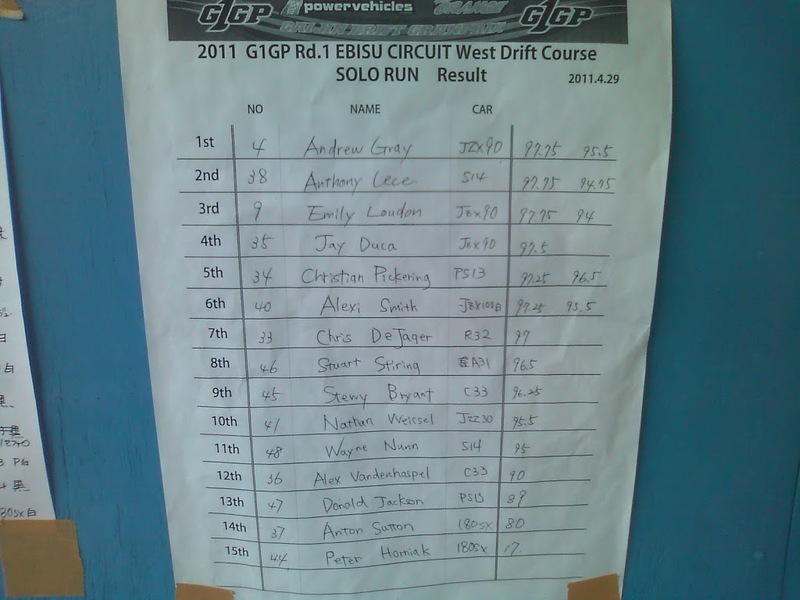 The results from the qualifying solo runs. 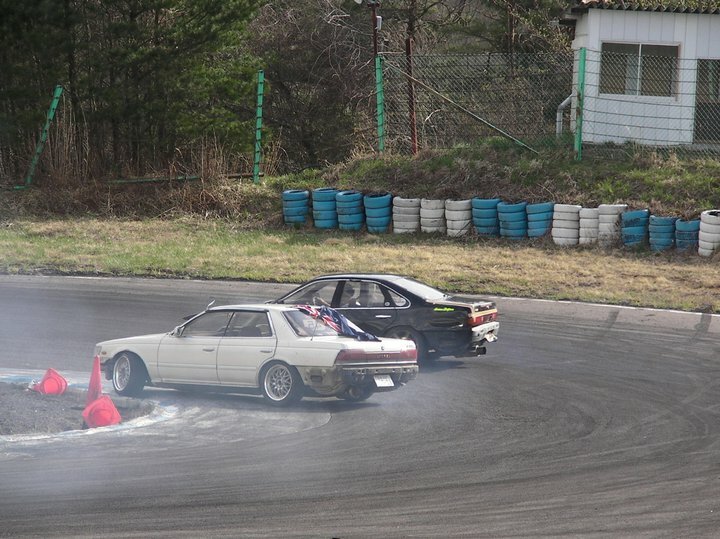 Jay Duca was loving it all day in his JZX90 Cresta. 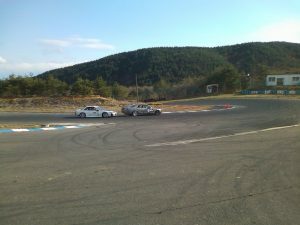 Battle for 3rd. Christian Pickering right up the a** of Jay Duca. The final battle opponents. Chris Dejager (left) and Stewy Bryant (right). Christian Pickering zip-tying his bumper back on after clipping one of the pylons. 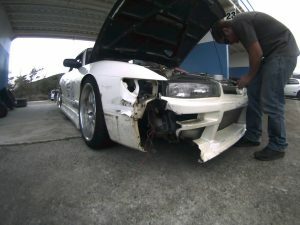 Alexi Smith from www.NoriYaro.com in his JZX100. Two Thumbs Up From The Day’s Winner – Chris DeJager! Congrats! 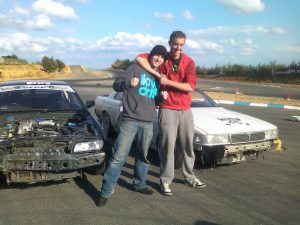 The final battle saw Chris DeJager in his half a R32 with RB25DET go against Stewy Bryant in his mint and near stock C33 Laurel. 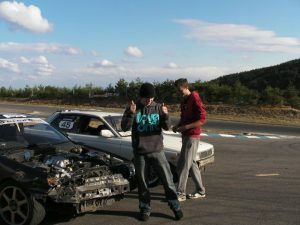 Chris walked away with the win after Stewy spun on the second run. This was Chris’ second consecutive win at G1GP. He won last year’s Autumn G1GP round on the same Ebisu Nishi course. 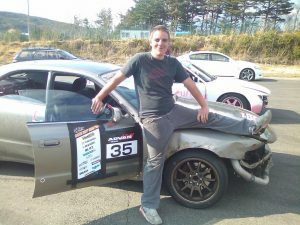 Thanks again for all the drivers who participated, PowerVehicles.com and to Team Orange and Ebisu circuit staff for putting on another memorable G1GP! See you all for the Summer G1GP!